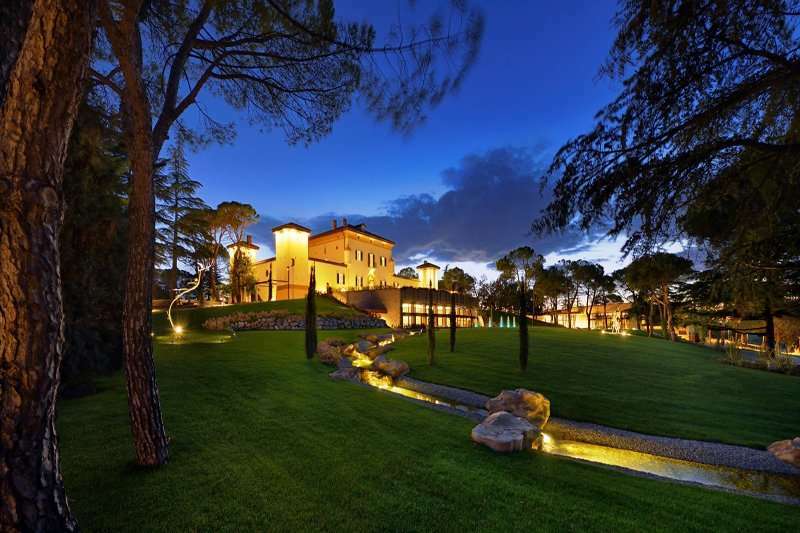 The 4* Palazzo di Varignana Resort & SPA is a prestigious and elegant resort nestled in the stunning Emilia countryside. 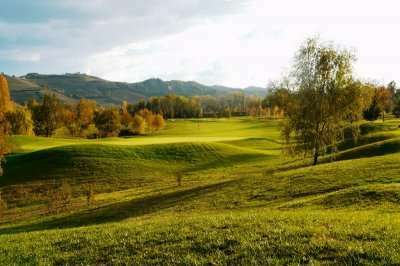 The property is an 18th century villa restored to its former glory, in a breathtaking location on the outskirts of Bologna, a perfect option for a relaxing golf holiday in Italy. 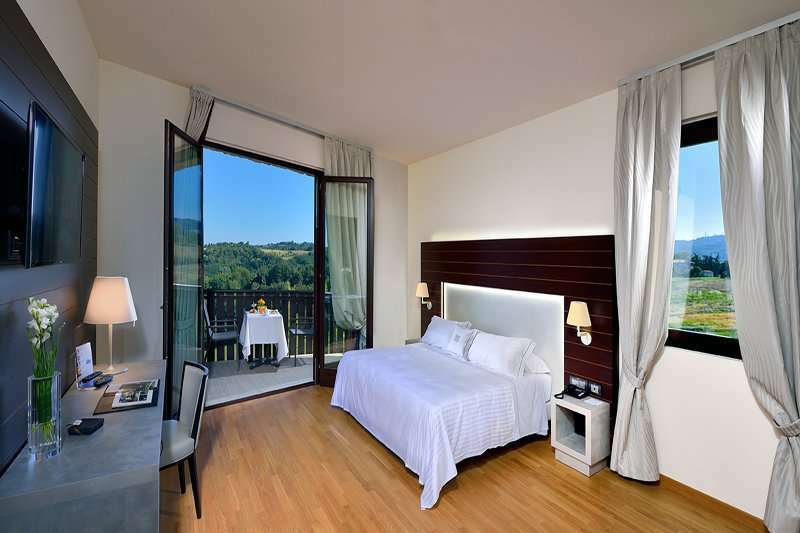 The resort is set with 20 hectares of private park, overlooking the hills of Varignana, with awe inspiring views of the Italian countryside. 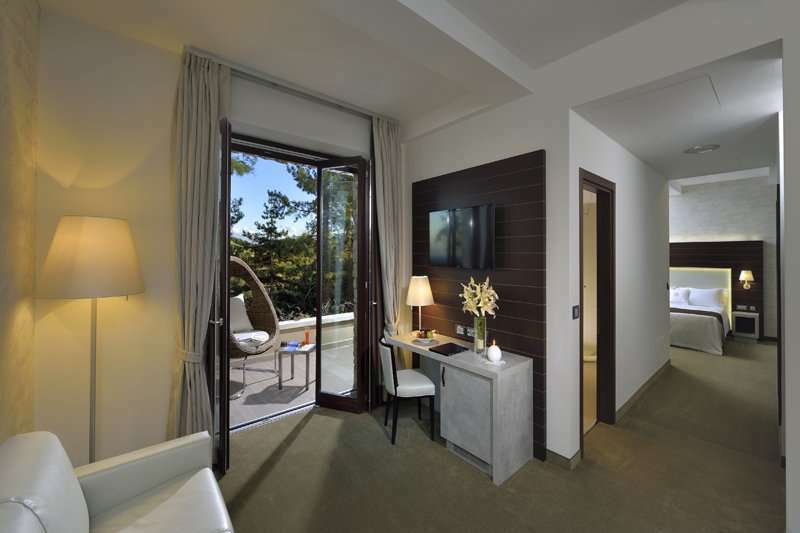 The resort offers 89 spacious and luxurious rooms, three restaurants, five outdoor pools and an onsite spa facility, offering 1800sqm of pure wellness and relaxation. 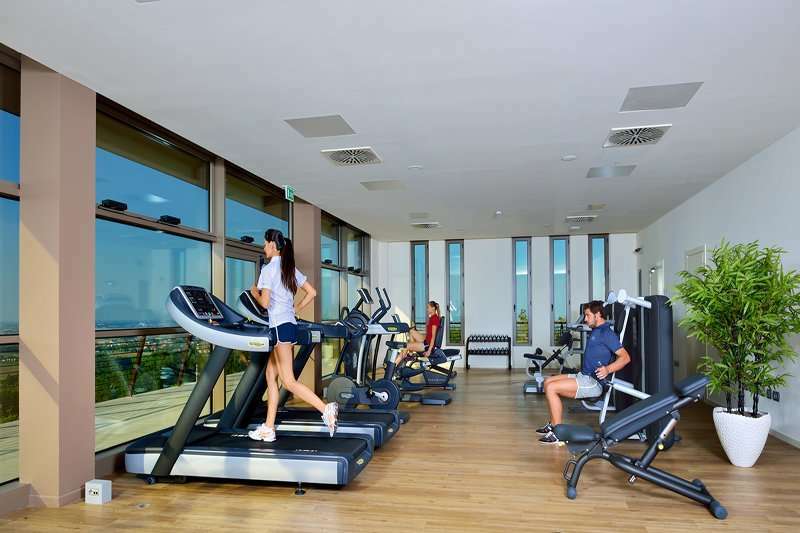 There is also a fitness centre onsite, as well a tennis court to keep active whilst on you are away. 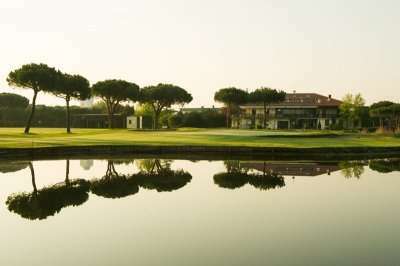 The public areas here offer a serene paradise with five outdoor pools and a delightful terrace and garden, creating a haven for your non golfing days. 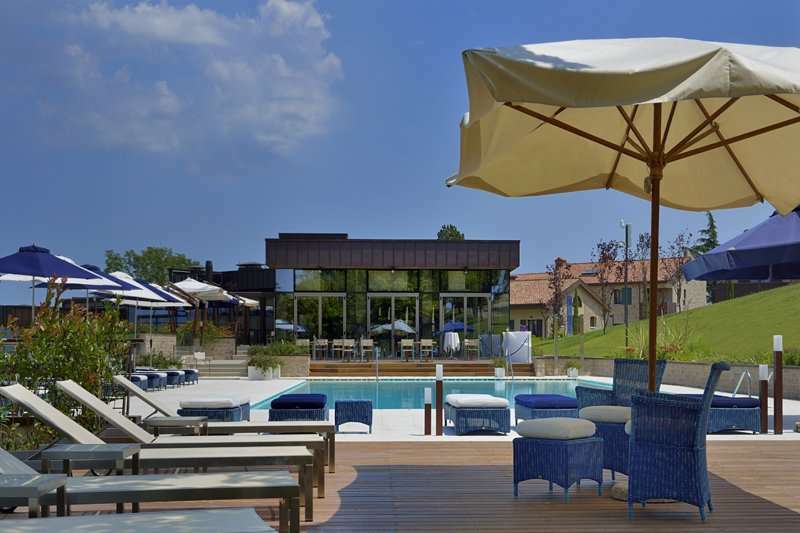 The resort is located 19km from Bologna, a medieval Italian city well worth exploring to witness the splendid architecture, experience the local cuisine and pick up a souvenir or two. 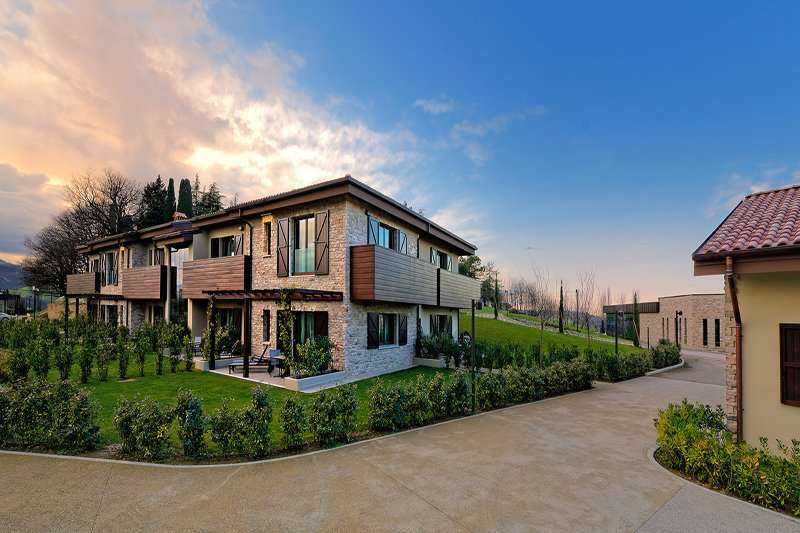 The Varsana SPA offers the very best of Italian hospitality and features an array of relaxation facilities for you to completely unwind after some thrilling rounds of golf. 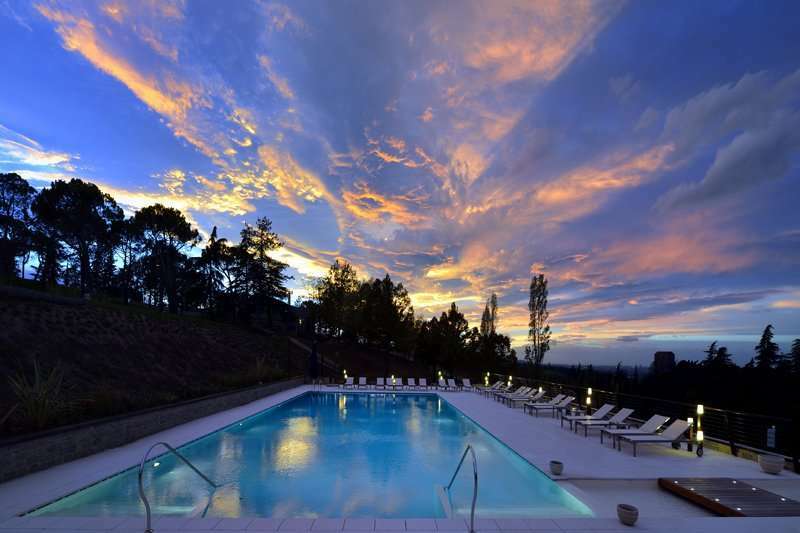 The high standard of facilities include a Finnish sauna, steam bath, ice waterfall, indoor pool and sensory showers, along with a vast treatment and massage menu. The three well-appointed restaurants here serve up the perfect combination of Italian and international cuisine for all your party to enjoy. The Il Palazzo restaurant, located in the most stunning part of the building, offers a classic dining experience like no other. 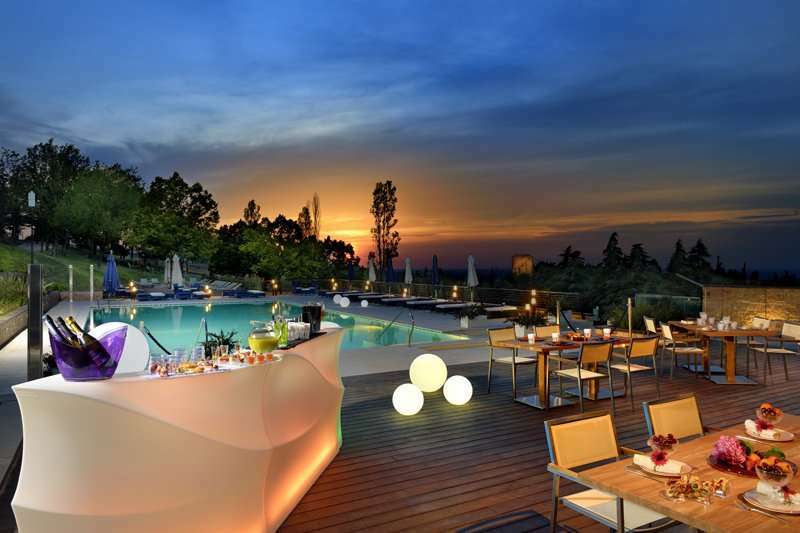 The Aurevo pool restaurant serves up a light lunch or dinner with panoramic views of the countryside. 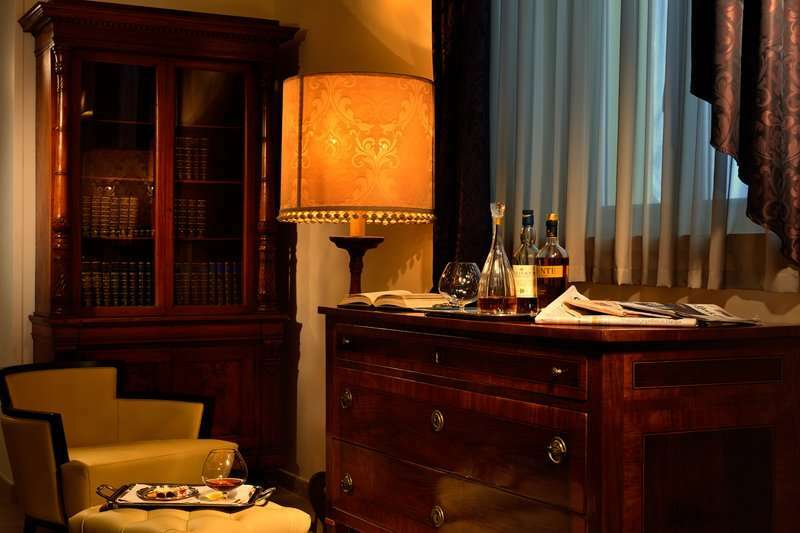 Le Marzoline specializes in typical trattoria, of the Bolognese region, for an unforgettable Italian culinary experience. Each of the stylishly modern guest rooms include air conditioning, complimentary Wi-Fi, satellite TV, safe and a mini bar. 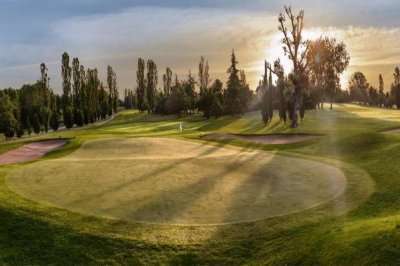 The nearest golf courses from the hotel include Le Fonti Golf Club (10kms away) and Golf Club Bologna (30km away), both superb traditional parkland courses in a natural setting in Emilia Romagna. 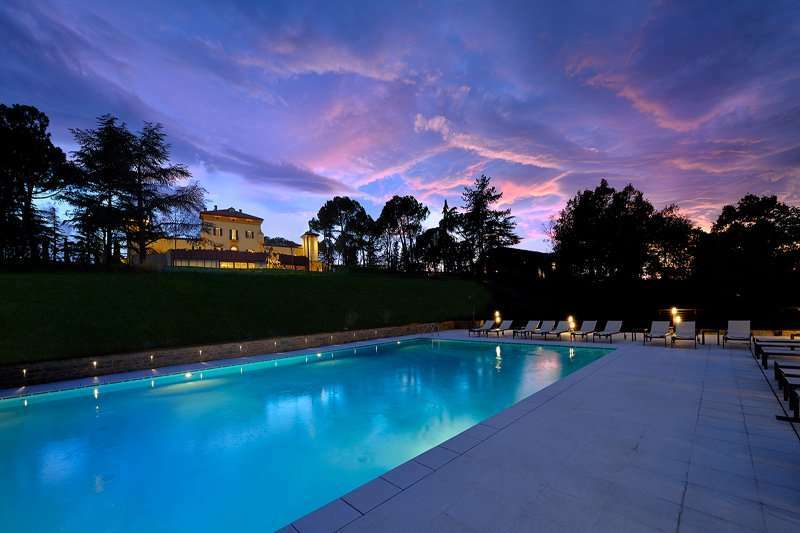 For a luxurious Italian getaway to the remarkable Emilia Romagna region, we recommend a stay the Palazzo di Varignana & SPA.